The facts of the matter were presented very clearly in the debate by numerous U.S. senators from both parties. They denounced war lies as “lies.” They pointed out the horrendous damage, the deaths, the injuries, the starvation, the cholera. 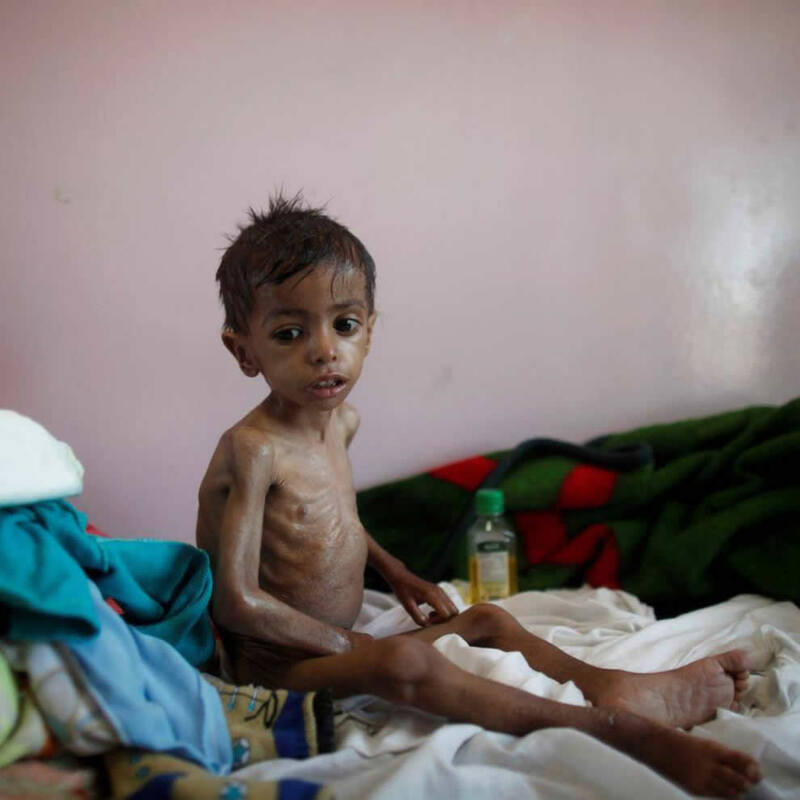 They cited Saudi Arabia’s explicit and intentional use of starvation as a weapon. They noted the blockade against humanitarian aid imposed by Saudi Arabia. They endlessly discussed the biggest cholera epidemic ever known…. (Natural News) Back in 1996, annual spending on psychiatric disorders was $79 billion in the United States. Two decades later, that figure has nearly trebled to $201 billion. While some might see this as evidence of progress and a sign that more people are receiving the mental health care that they need, others recognize that there is an epidemic of misdiagnosing and over-prescribing in this country across all healthcare fields, and that includes psychiatry. To state it plainly: Psychiatric drugs represent big money for Big Pharma, and when you consider that this is the same industry that has broken all the rules to keep pushing killer opioids on vulnerable patients, you certainly can’t trust that they will take the moral high ground when it comes to those afflicted with mental health problems. If it were just a case of exploiting vulnerable people with high-cost drugs that would be bad enough. However, the problem is so much worse than that because these drugs are not only ineffective, but downright dangerous. They carry serious side effects, including mania, violence, psychosis and homicidal ideation (the desire to commit murder), and have been linked to dozens of mass shootings, including at least 36 school shootings in which the killer was found to have been on or withdrawing from some kind of psychiatric drug at the time of the killings. Waking Times recently reported on an eight-year study by medical researcher Craig Wagner, which investigated the efficacy of and dangers associated with antidepressants, antipsychotic drugs and benzodiazepines. His findings are both shocking and enlightening. [L]ess than a quarter of those with chronic psychosis see even a 50% reduction in symptoms when using them.4 And this partial symptom relief often comes with life-altering side effects. Additionally, evidence suggests that antipsychotics may do more harm than good in the long term. To gain this small advantage people must accept antidepressants’ side effects, risks, and limitations which can be significant. Even more startling, at milder symptom levels — representing about 85% of people taking these drugs for depression — antidepressants have no advantage over placebo. Virtually half of all antidepressant studies (49 percent) failed to prove that these drugs offer any benefit, and it is believed that 82 percent of the beneficial effects experienced by users are pure placebo effect. At least 60 percent of those who take antidepressants feel emotionally numb, with 54 percent of their symptoms remaining after they start taking the drugs, and 62 percent experiencing sexual dysfunction. For those who try to get off these drugs, 55 percent experiencing debilitating withdrawal effects. Children and young adults under the age of 25 double their risk of suicide if they take antidepressants, and patients of any age who take them increase their risk of developing mania between two and four times. While these drugs quickly and effectively reduce anxiety symptoms, they are highly addictive and carry dangerous side effects. While guidelines recommend prescribing them for no more than 28 days, in practice some patients have been on them for years. And this is not surprising, since dependence occurs within days or just a few weeks. Benzo users double their risk of suicide and increase their risk of a hip fracture by a staggering 80 percent after more than one month’s use. Those who take these drugs for more than six months increase their risk of Alzheimer’s by 84 percent, and can expect a 3.5 times greater risk of cognitive decline and loss in 12 functional areas. After all, nobody’s making money off a patient who gets better, are they? Read Psychiatry.news for more coverage of psychiatric drugs. Yes but they provide a great cover for the “need” to disarm us as our luciferian overlords close in. Content creators are being reminded of the power in alternative platforms such as Steemit and DTube after YouTube announced that it is updating its policies and banning thousands of gun videos. YouTube has announced that it is banning videos that show users how to manufacture or modify firearms, adding to its ban on videos that link to firearms sales, and as users find that their videos have been removed or their channels are being suspended, some are moving to PornHub and other alternative platforms to promote their content…. Many content creators who have been targeted by YouTube have found a new home in Steemit’s DTube, which allows users to benefit from the content they create without the fear of how the platform’s constantly changing policies may affect them. To find out more about how Steemit provides an alternative to sites like Facebook and YouTube, check it out here. Today we talk to Dr. Paul Connett of the Fluoride Action Network (fluoridealert.org) about Food & Water Watch Inc., et al. v. United States Environmental Protection Agency, a lawsuit that could bring an end to the practice of water fluoridation in the United States. We discuss the Toxic Substances Control Act under which the suit is being filed, how recent court rulings have allowed the case to proceed, and the incredible significance of the chance to depose the EPA’s “experts” under oath. Please help spread the word about this exciting development.